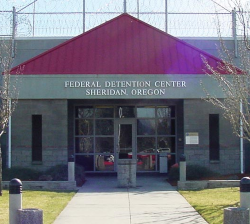 The American Humanist Association filed a lawsuit last year on behalf of an inmate at a federal prison in Oregon in order to get Humanism added to the list of recognized religions in the prison system. The lawsuit wasn’t about changing Humanism into a religion, like Islam or Judaism, but to make sure inmates who identify as Humanists can receive the same special treatment members of traditional religions receive. This was all about equal protection under the law. This entry was posted in Humanist Movement, Issues and tagged American Humanist Association, church and state, civil liberties, equal protection, Federal Bureau of Prisons, lawsuit, privilege on July 30, 2015 by Doug.